Get the BEST price for your used DVD’s and Blu-Ray’s online with this free tool I created! 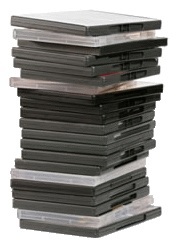 I sold my DVD collection a little while back and was intensely frustrated by the WIDELY varying prices offered by various purchasers. So, I wrote a tool to do all the hard work for me by heading out to each of the popular sites, poll their price, find the best, and report back. If you have a ton of discs you want a report on, contact me and I’ll see what we can work out.